I didn't get any cards with me game sadly. Some stores might have some left i suppose. i now have a 1070 laptop so will try it again! i have an old version of it so i must update. True enough although performance did get a lot better just before Christmas if I recall correctly. Someone here is getting decent results with an overclocked 3570k. Like most emulators it's more cpu dependent but a 4 year old lower end graphics card might not be enough. I think I've seen people get decent results on a 970. 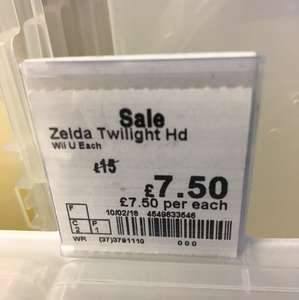 Legend of Zelda twilight princess for 7.50, cheapest I’ve seen it? asked at till and said they had stock in back, hope it helps someone, great game. Did you opt for standard 1st class? What’s the dispatch / delivery time like with SG? It depends what you class as rare, but seeing as it is £26 on eBay, and £30 on Amazon, I'd say this is a decent deal. It's £5 on Amazon. £1 saving WOAH DUDE SO MUCH BETTER. Not likely as some stores have 4+ instock (which is unlikely for a rare-ish game). 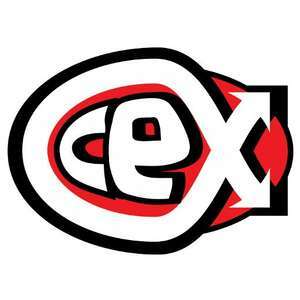 It means stock was found and sold off bulk to cex when the trade in was high, so it's more likely that the copy would be in unsealed new condition. https://uk.m.webuy.com/site/productDetail?productId=045496363710#.WaA8hkHTXYU This harvest moon is £4, that's more of a deal. Not played it myself but any reviews I can find for the game rate it as average at best. 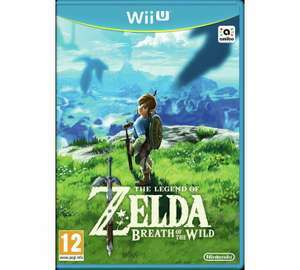 It came out in 2011 for Wii, PS3 and Xbox 360 but I was hoping someone that has played it might have left a comment as I am unsure if it is worth a go even for this price. Never heard of it, any good? Just picked up the last one in Bristol; many thanks. It's the same as the Wii so works on any games that support the classic controller - the Wii U Pro controller however only works on Wii U games (unless you're using the Wii U for emulation purposes). Wii standard or pro controller works when connected to the Wii U remote for backwards compatibility, right? You can't use the Wii U pro controller for any Wii games so it's silly wands only for Metroid: Other M.
They've already issued a refund, what else do you expect them to do? ​couldn't you make a PayPal claim? or is there some sort of terms and conditions? I bought via ebay but was informed of technical issues re the item being relisted. Item is not being honoured and a refund was issued after they had confirmed despatch email. Sent them an email letting them know about their Bullsh*t and lack of care for their customers! I think you guys should give them a piece of your mind also! Email "I do not understand how this could have been a pricing error if it was also being sold on game collection outlet on ebay for £21.95. If it were a pricing error we would not see the same item being listed for the same price at the same time on two websites. (I am guessing there was more items sold than was in stock and therefore the eBay stock had to be honored due to Paypal cases, feedback and complications) I am very disappointed for the lack of honesty with your customers and there being absolutely no compensation to the customers buying directly for your website! I am unlikely to trust and buy from game collection in the future and I am very disappointed with the customer service!" Never miss a 'Wii Game' deal again! Did anybody actually manage to get Donkey Kong ? got an email through yesterday saying they couldn't fulfill my order &amp; i'll get a refund. Last week there was a hot post for both NSMBU and NSLU for £14 from Tesco. I'm playing it right now and to be honest it's not that good. Loved NSMBU though, so I don't know if it's my memory or what. Some hot deals from Tesco 8) Also got Super Mario 3D World for £14.95 from The Game Collection but think that deal is finished. Not keen on selects but heat none the less for good games (RIP Splasho mate). Browsing HUKD a few days before pay day is like torture! :( ;) Thanks for the post I got £1.50 off due to clubcard pts! Heat! Nope, just apparently some people like to have the original sleeve. Don't ask! I was going to pick this up for the little one for her room. £5 odd at cex pre-owned so heat from me! Pandora Huntingdon are having a tower event to mark the opening of their new store this weekend! Spend £100 and receive a piece of jewellery from their Pandora Christmas Tower. This has gone up, it used to be available on a spend of £75. Still a good offer though for people who like this overpriced tat. Worth every penny and even worth the loading times. A nice game, but some absolutely insane loading times! Because it's the same as posting PC games from 19p on Steam as a deal, even the link to them is an edit. Hot from me. This will amuse my kids and keep them away from the expensive playstation games.... also gets them moving!! Spent less than £6 and will give me peace and quiet when the kids knacker themselves out! Perhaps the op should have personally reviewed all 613 games for you as well. Goodness knows what you are like in a restaurant. Do you expect the waiter to choose the meal for you, cut it up into bitesize pieces and spoonfeed it to you? - you would probably still moan that you have to chew it yourself. Wii has thousands and thousands of games but are they all good? No, just some are. I'm not asking for the entire list just a chunk would've done to make the post look informative. Thanks OP , ordered - lets hope they fulfil the orders. Okami on Nintendo Wii for £12.49 (Prime) / £14.48 (non Prime) Sold by Digitalville UK and Fulfilled by Amazon. Okami for Nintendo Wii Also compatible with Nintendo Wii U Shared Via The HUKD App For Android. Agree - sadly. The Wii version should have been - if not the definitive - a great port via Wii Remote, however, the controls are VERY hit and miss. I wish Okami HD was available for the PS4. Truly a remarkable, epic and polished game. £12.50/£14.50 for a Wii game in 2016 is not a good deal,also PS3 version is much better,has high quality HD resolution and much better controls compared to motion nonsense on Wii. Been this price for ages, I added it to a wishlist around this price a while back, but am holding out for a sale on PSN for what I've read elsewhere is the best version. Sadly no Mario 3D World in the Select range although it is available in the USA at $19.99. They will be released next month, maybe you'll get them a day earlier or not. Amazon promises for customers to receive the pre-ordered items on release day although I'd prefer a day before. Cheaper than the new nintendo selects pre order. I was monitoring this game for ages, and ended up getting it from TRU for this price ages ago. TRU had it at this price instore/online for months now as they were selling it of as clearance. It sold out quickly, they maybe found a few extra copies lying around in central storage? Are you really that bothered that a deal was posted that may have been based on information gleamed by a comment you made in another deal? We are all here to help each other find great offers that may be of interest us. Even if the deal was posted after seeing your comments, it can hardly be considered stealing. Copying is not theft. Your comments have not disappeared. Why do people get so precious about deals? In stock at my local shop and reserved. Thanks, OP. I nearly voted Hot but I realised this was for a game and not the console. These are great deals and as they've only recently been announced I'd say it's pertinent that they've been posted. The more reserved members who don't necessarily comment or actively engage otherwise have clearly spoken by the heat this deal has generated. Keep up the good work as I'll bet there are significant amounts of people who would buy these for themselves/kids etc but don't follow the industry enough to be aware of these selects. ​Best price = best deal. Yep. Knew that but hadn't gotten around to edit.